This is were Runo and ALice work and live.You can come here to cath a bite to eat,trade,or discuss meetings. This is in Dans town were most brawls happen.This is also a place to have a great match. This is were Marucho lives.This is a big place so make sure you don't get lost. This is were Shun stays and trains its a little off the coast of were Dan lives.The only way to get there is by boat or Plane. This is were you can have Chats with other Brawls anywhere in the world. This is above Dan's town .If you want you can find lots of Bakugan here.This is were Julie ,Koba and Biley stay. This is were The Vestrioa warrioes meet. 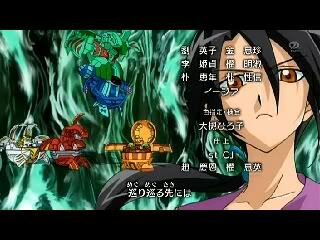 This is were Bakugan lay in sorrow because off there death. This is were Klause lives it big so be careful. This is anywhere in Vestrioea like the Darkus world or the Pryus world. This is were Dan goes to School at. This is were Joe lives with his mom.Its very fun because of the large buliding. This is Maruchos aircraft you cand ride here for days and never get bored.